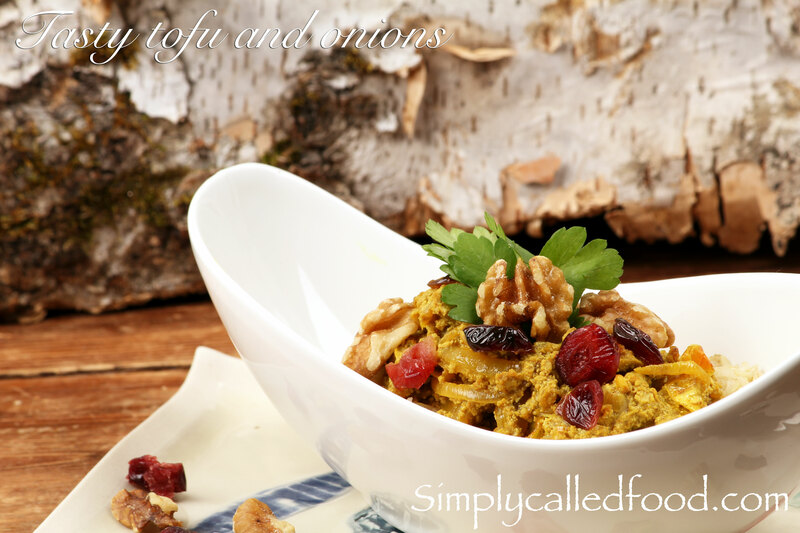 Tasty tofu and onions | Simply called "Food"
Last night, while I was in bed, I started thinking about supper for the next day wondering what to make. I thought about this tofu package and thinking that I haven’t had it in a while, there was my supper! But the question was, how can I make it different. In the food processor, coarsely chop the tofu to get the texture and size of ground beef. In a medium bowl, combine the tofu, the tamari sauce and 2 garlic cloves. Set aside for about 30 minutes. It could be less. In the meantime, thinly slice the onions. Heat your oil on medium and cook them for about 20 minutes. Add the turmeric, the curry powder, the pepper and the flour then continue cooking for 2 more minutes or so. Put in the water, the rice vinegar, the nutritional yeast, the cranberries, the walnuts and the tofu then cook for 5 or 10 more minutes. You can have it with wild rice. Tags: Budget, Curry, Food, Fruit and Vegetable, Gluten free, Nuts, Onion, Recipe, Spices, Tofu, Vegan, Vegetarian, Walnut. Bookmark the permalink. 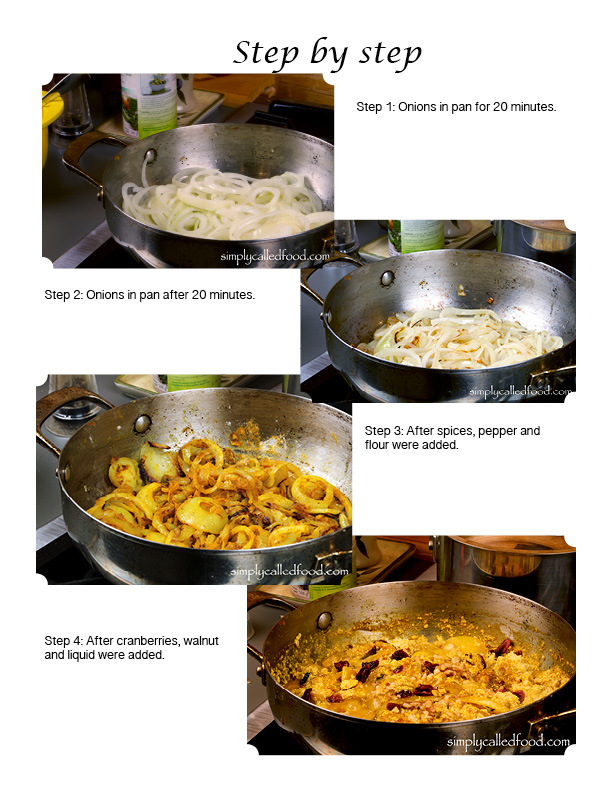 Pingback: Tasty tofu and onions | Simply called "Food"
I hope it will make you like it. Make sure your tofu is not too much in puree so you don’t feel like your having soup.